Kit contains 4 Each of VUR 8800. 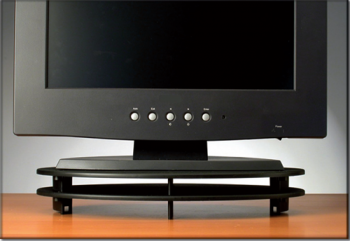 Ideal for monitors with footprint up to 11″ x 8″. Graphite/Black. Each elevates 1″. Stacks. Supports up to 22 lbs. Sleek, Cool. Should you desire greater quantity than the kit size, please email your request on our custom order form located HERE. Photo above shows two each.